Hollywood has come to the Smithsonian National Air Transformers 2and Space Museum&apos;s Steven F. Udvar-Hazy Center with the filming of the second feature movie in the Transformers line. The blockbuster film sequel that was released in theaters this summer turns the SR-71 Blackbird into a Transformer in the new movie which can be seen on the museum&apos;s incredible IMAX theater as well as at other theaters in the area. But for fans who like to see the real deal, arrive at the museum early to see the actual Blackbird along with a number of artifacts from the film itself. Last June, Director Michael Bay and Paramount Pictures spent four days filming parts of the movie in the museum. 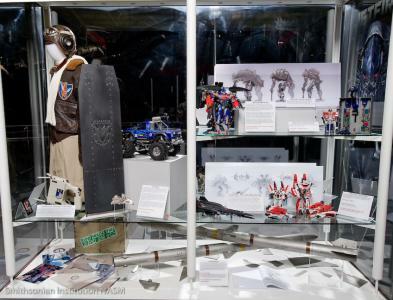 Visitors to the Smithsonian&apos;s Udvar-Hazy Center can see a case of artifacts from the movie on display for the next several months. Included in the case is the flight jacket that actor John Turturro wore in the scenes shot at the museum as well as those shot climbing the Pyramids in Egypt. Before watching the action-packed movie on the five-story-high IMAXTransformers 3 screen though, the real thrill is to see the one-of-a-kind SR-71 Blackbird on display. During the film, the sleek aircraft transforms into one of the huge aliens and, of course, becomes a star of the film. The question is: will he be an Autobot (good guy) or a Decepticon (bad guy)? Visit the museum and see the film to find out! Transformers: Revenge of the Fallen can be seen at the Airbus IMAX theater now through September 7th. 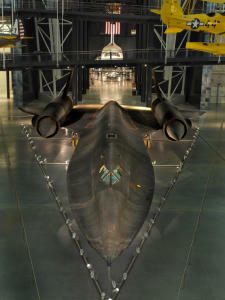 Visit the Udvar-Hazy Center&apos;s website for showtimes.